Spring is one of the nicest times of year when it comes to the weather. With the warmer temperature comes less snowfall and more time spent outside without having to worry about getting sick. Another reason spring is so great is it affords us the ability to get our AC systems fixed up before the heat waves start rolling in during the summer. Here at Davis Heating & Cooling, we want you to be prepared when that time comes so we’ve put together a list of things to take care of this spring. If you have any questions for us, don’t hesitate to give us a call. It’s not unusual for many homeowners to cover their outdoor units in order to protect them from the cold weather which we’re no stranger to here in New Jersey. However, before you think of replacing, repairing, or getting maintenance done on your AC unit, you should be sure to remove the cover. Once you remove the blanket, cover, or lid on the unit, be sure to check the exterior for wear and tear or damage. Do not start your system without doing this first. Remember that your outdoor unit is dependent on the air around it to function properly, so if vegetation or anything else has built up around it, you’ll want to remove it. You should see lower energy bills this way. It’s never a bad time to check your air filters, especially if you’ve been neglecting them this past winter. Air filters not only play an important role in the efficiency of your system, but they remove harmful indoor allergens that can make your life a lot more difficult if you or a family breathes them in. It’s great to ensure your air conditioner is functioning as it should, but without a working thermostat, it won’t do you any good. Even if it’s turning on and seems to be working correctly, it still may need to be calibrated. Be sure to speak with your local Flemington HVAC company about this, and ask about having your thermostat replaced with a programmable one while you’re at it. Let’s face it, if you’re thinking about AC repairs this spring, you’re already several steps ahead of most homeowners. This is a good idea if you want to eliminate the stress most homeowners experience with the change of season. If you call our HVAC specialists and schedule an appointment now, you won’t have to deal with the stress of having a defective AC system once summer comes around. 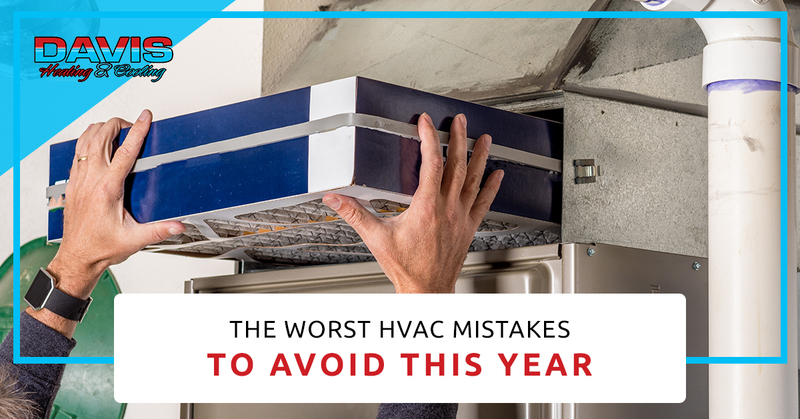 When it comes time to finding the right HVAC company, you need to get it right the first time in order to save yourself time and money. The good news is that the heating and cooling experts here at Davis Heating & Cooling are here to help. Give us a call today to schedule a consultation or stay tuned to our blogs for more information.